Hurtling towards its November 6th release on PlayStation 4, Xbox One, Nintendo Switch and Steam for Windows PC, GRIP: Combat Racing offers players a unique competitive experience, testing their reflexes to the limit as they accelerate towards the finish line at over 767 mph. 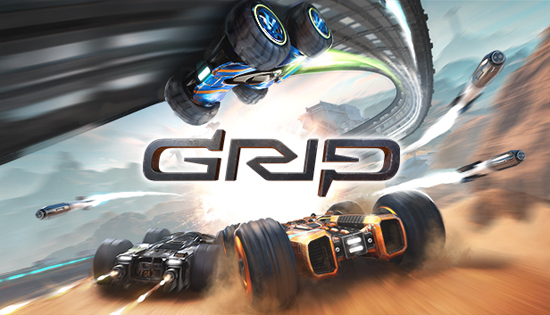 Budding racers attending EGX 2018 at Birmingham’s NEC between the 20th and 23rd September will be able to go hands on with GRIP: Combat Racing’s multiplayer including split-screen, LAN and solo play. Inspired by the Rollcage games of the late 90s and backed by a highly-skilled and accomplished team, which includes Rollcage programming veteran, Robert Baker, GRIP: Combat Racing celebrates the re-emergence of blindingly fast arcade combat racers. The game will see racers hurtling their way around 22 breath-taking tracks, driving one of 15 armored cars; while deploying a bristling arsenal of 9 outlandish weapons and power-ups. Built on Unreal® Engine 4, the game accelerates ahead of the racing crowd by offering players gravity-defying physics reaching speeds of over 767 mph - making it the fastest racing game on four wheels. GRIP: Combat Racing will speed onto the PlayStation®4 computer entertainment system, PlayStation 4 Pro, Xbox One, the all-in-one entertainment system from Microsoft, Xbox One X, Nintendo Switch and Windows PC via Steam on November 6, 2018.